I love when time stops at nice restaurants. 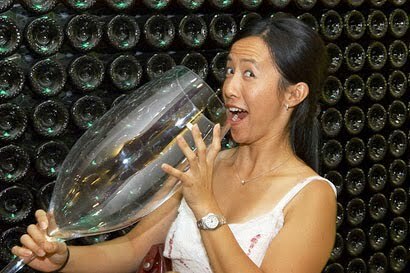 The server insists on someone trying the wine to make sure it is acceptable. Then, it's all eyes on the person with the glass. The person trying the wine typically does one of two things: 1) Look like he really knows a lot about wine, or 2) look like he is used to the drill of trying the wine. La ti da! I guess I am used to the drill, but I find it a perfect time for jokes and/or putting down the wine. "You expect us to drink this rat urine?" "Ooh, my favorite part was the sentiment!" "I like it. It reminds me of gasoline." Not too long ago, I was at a restaurant with over-sized wine glasses. Are they classy? I don't think so. But I will say this: They make me feel tiny. 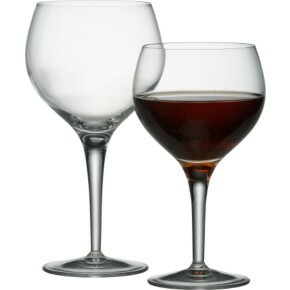 Some might say over-sized glasses let the wine breathe and allow the imbiber to experience the full aroma of the wine. Blah, blah, blah. I just think they make me feel small. Those big glasses are the opposite of 7-ounce Little Kings Original Cream Ale bottles, which made me feel like a giant. Yeah, I haven't seen Little Kings in a long time, not sure if they exist in California. But those 7-ounce bottles, known as "pocket rockets" or "little killers," make any alcoholic look cute.